Norman Beede began his piano studies in 1958 at age 7. At 14 he began improvising, composing and studying music theory with Loren Thompson while taking master classes in piano and composition with Johanna Harris at Mr. Thompson’s studio in Brea, CA. After high school Norm attended the San Francisco Conservatory of Music and CalArts, studying classical piano repertoire with Robert Helps, Bernhard Abramowitsch and James Tenney, theory and improvisation with W.A. Mathieu and jazz with Milcho Leviev. From 1973-1993 Norm was musician for dance at California State University, Los Angeles (CSULA). He is Senior Musician at University of California, Irvine, Department of Dance, a position held since 1993. 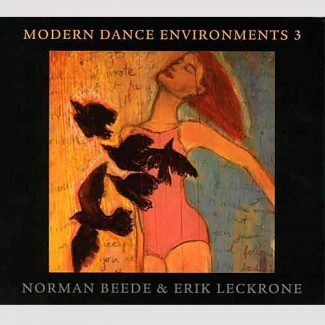 Norm has written over fifty scores and soundscapes for dance and theatre including for choreographers Loretta Livingston, Rudy Perez, Lisa Naugle, Collette Harding Dance Collective and for theatre productions in Los Angeles and Irvine. Recent credits include music for a documentary film “Breaking the Silence” as well as music for an online dance appreciation course at Coastline Community College in Fountain Valley, CA.